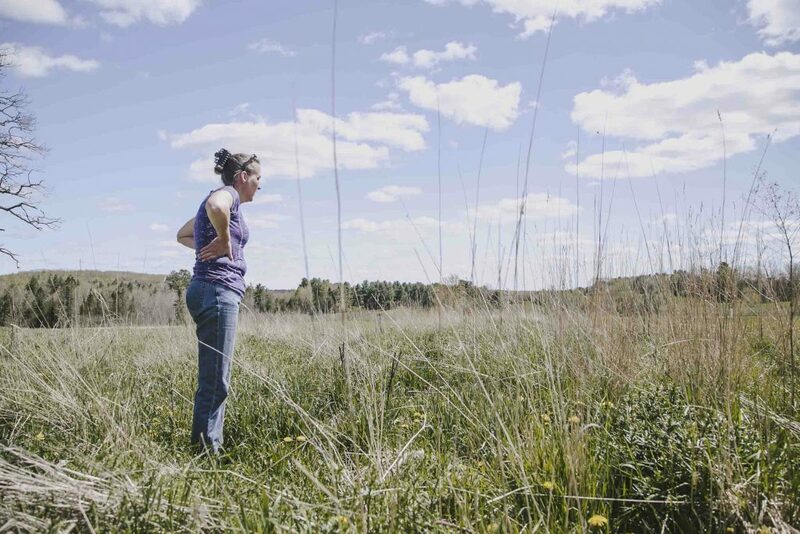 Dina-Lee Ford walks her land, describing dreams for the future; dreams she’s quite literally planting in multiple acres of rich soil she can now call her own. A Master Gardener and disabled veteran who served in the Air Force, Dina-Lee, and her partner Stephen Fleck, are finally realizing their dreams of farming in their hometown of Troy, Maine. For years, Dina-Lee drove by this particular farm on the Bangor Road, and watched it come on the market several times. She always admired the house, the gigantic barn, and the lay of the land, but it was never quite the right time, or the right price. “Not right now,” Dina-Lee said to herself, every time she saw another “For Sale” sign crop up. But one day in 2015, the farm came on the market again, and it was the right time for Dina and Stephen. With the help of some savings and an easement from Maine Farmland Trust, they could finally afford the 35-acre property. Dina-Lee struggles with chronic pain, but as we walked the fields, she said that she plans to farm here no matter what, in spite of the stretches of time when she can hardly move. She told Stephen that she would farm in a wheelchair if she had to, that’s how much she loves this land and the plans they have for it. As a potential silver lining, the benefits that Dina receives as a veteran have gone a long way in helping to create a new farm business. 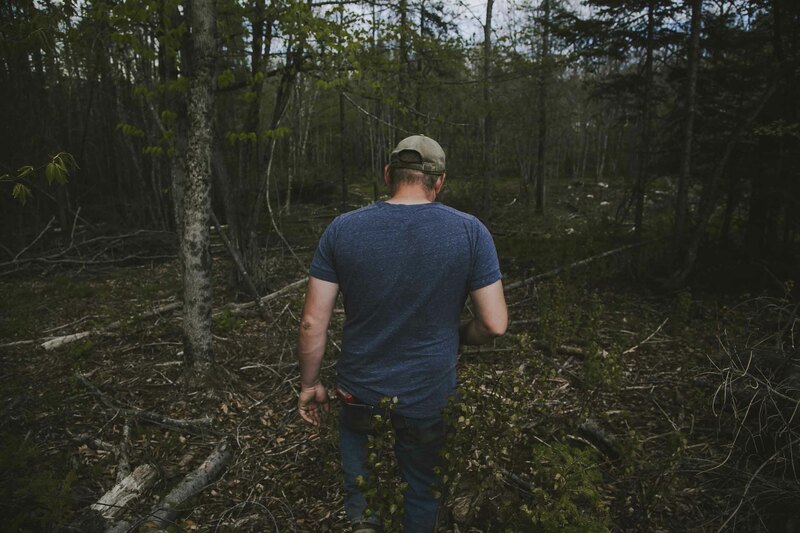 Coupled with the funds from the purchased easement through MFT, Bit by Bit is starting off on solid ground, and is a model for aspiring farmer-veterans struggling to access farmland. Dina-Lee is just one of a growing number of farmer-veterans who are looking farm in Maine, thanks in large part to the Farmer Veteran Coalition of Maine, a chapter of a robust national network. Erica Buswell sees the Farmer Veteran Coaltion as a powerful force, “drawing on the deeply ingrained senses of community and connection within a military culture to create and inspire new ties of community and connection within agriculture. I see the farmers that FVC works with drawing on their identities as military veterans to create strong networks of support and mentoring among themselves,” she said. “That kind of organic, community-minded support has the ability to really kick-start the growth and development of new, veteran-owned farm businesses, and energize the growth and development of new farm businesses. When we consider that so much farmland in Maine will begin to transition over the next decade, it becomes clear that the FVC has a huge role to play in ensuring that land stays in farming. Much of the land in transition may be owned by military veterans, who would love to transfer their farmland to the next generation of military farmers. This is an incredible opportunity to help ensure that Maine’s farmland will remain available and productive into the future by drawing on that military culture of community and mutual support. Veterans like Dina Lee are working hard to connect the incoming wave of farmer-veterans to farmland and support services, and our whole state has an incredible amount to benefit from this effort.